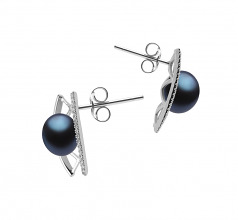 Beautiful and lustrous black 8-9mm pearls set centered in a gleaming bed of shiny silver, geometric crisscrosses adorned on one side with brilliant, clear crystal stones. 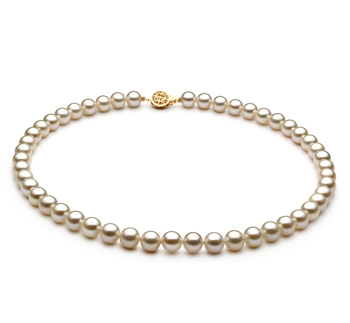 The AAA grade, freshwater pearls are unblemished and gleam with soft opalescent colors that shimmer and move as light skim the surface. The Odelia earrings look amazing when paired with a little black dress for a romantic dinner for two or when added to a glittering evening gown for a black-tie party. These bold yet understated earrings easily transition to the office, adding a professionally polished finish to a business ensemble of a fitted jacket and slender skirt. 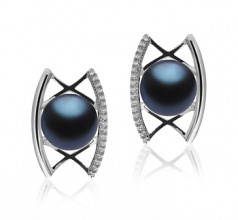 Regardless of what you wear the Odelia earrings with, you’ll have a style that always looks as good as you do.